DAYTONA BEACH, Fla. (June 21, 2017) – ATF & Gunslinger will have two new partners aboard their trucks this month when they kick off their 2017 hunt for speed records. Hard Rock International and Criquet Shirts have both joined the effort as NASCAR Champion Mike Skinner looks to break the 50-second mark in his run up the legendary 1.16-mile hill climb at this year’s Goodwood Festival of Speed. Skinner, the three-time defending NASCAR class champion and 2016 third-place overall finisher, will be behind the wheel of the “Skinner Special” – a Skinner designed and built NASCAR truck that has been specially set up for going after record times on all sorts of road, oval and hill climb courses. With 2017 marking the event’s 25th anniversary, the Goodwood Festival of Speed will take place this June 29-July 2 in West Sussex, England. Famous among Americans and British and the rest of the world, Hard Rock International is one of the most globally-recognized brands due to its 174 cafes, 24 hotels and 11 casinos across 74 countries. The ATF & Gunslinger team will not only launch their partnership with Criquet Shirts, but will also be sporting the brand’s signature Players Shirt throughout the Goodwood Festival of Speed. Established in 2010, the Austin, Texas-based Criquet Shirts looks at a classic style with a fresh set of eyes, taking inspiration from the past while bringing new ideas about design and materials into play whenever it makes sense. The ATF & Gunslinger team will once again return to the Festival of Speed with a three-truck line up. 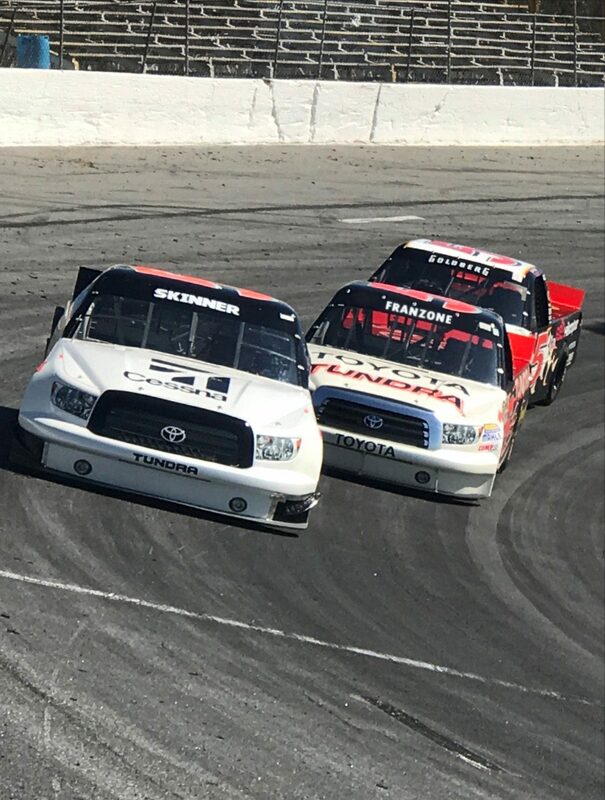 Andrew Franzone and Bill Goldberg will drive the team’s other two trucks in the NASCAR class. The team will also utilize the opportunity to raise funds and awareness for Hope For The Warriors, a national nonprofit focused on restoring self, family and hope for service members, veterans and military families. In addition to the new partners, Hard Rock International and Criquet Shirts, the ATF & Gunslinger team will also be joined by returning partners Textron Aviation, home to the Cessna brand, Caymus Vineyards, Toyota, Triad Racing Technologies and Goodyear. Additionally, returning partners from the financial industry, include Florence Capital, Sentinel Real Estate, Warrington, FocusPoint Private Capital and Start Media. Follow @MStheGunslinger on Twitter, or @SkinnerRoundUp on Twitter, Facebook or Instagram for the latest news and updates about Skinner’s on- and off-track activities.